Lernsys Homeschooling Academic Video Courses. Homeschooling Common Core 11 Grade pre algebra Video Course With Worksheets, Answer Keys, Tests and More! This exam covers the material in the first section. The answers to the exam are found under the Resources tab. The answers to the practice problems for this lecture are found on the Resources tab. There is an additional worksheet with answers. Please do not skip these practice problems. Being able to factor polynomials is important in subsequent Algebra courses. This exam covers the material in the second section. The answers to the exam are found under the Resources tab. This exam covers the material in the third section. The answers to the exam are found under the Resources tab. This exam covers the material in the fourth section. The answers to the exam are found under the Resources tab. 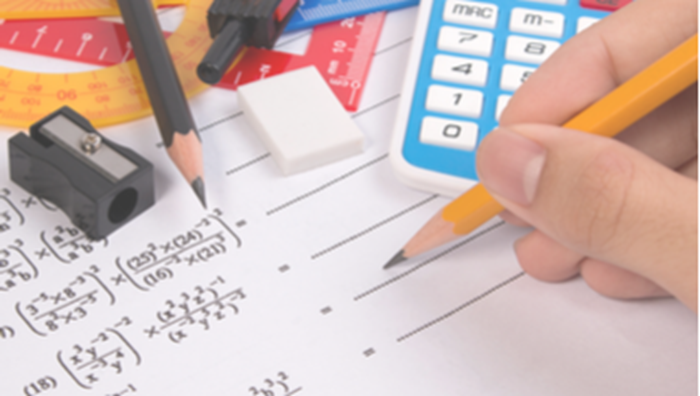 Algebra for 11th grade is an in-depth follow-up to an Introduction to Algebra course and a precursor to a Precalculus course. The course focuses on the mastery of critical skills and exposure to new skills necessary for success in subsequent math courses. The course examines various functions such as linear, quadratic, rational, exponential, logarithmic, and others. Included in the course are several units on real-world applications of these functions. Upon completion of this course, students will be prepared to move on to Precalculus and take college-entry standardized tests. Students will be able to apply their mathematical knowledge of functions to a variety of situations. This video course is primarily intended for students who have already mastered Prealgebra concepts (typically 14+) and are planning on taking Precalculus and taking college-entry exams. The majority of the lessons are taught so that technology is not needed. However, there are a few units where the use of a standard scientific calculator that is capable of performing logarithms is required. Teaching math has been my life’s work for the past 27 years. I did not always know that I would become a math teacher. In fact, when I got my degree in mathematics I thought I wanted to do cryptography. To me, solving mathematical problems was like putting together a puzzle or playing a strategic game, both of which I enjoyed immensely. Math to me, was fun! It was not until a few years after I graduated with a degree in Mathematics that someone suggested I pursue a career in Education. When the opportunity arose for me to go back to school, I gave teaching a try. The rest is history. About ten years ago I was participating in a Summer Fellowship for teachers and I was asked to consider leaving the classroom to work for that organization year-round. I laughed at the prospect replying, “If I worked here, I would be standing at the copy machine trying to explain Pythagorean Theorem to anyone that would listen to me.” Teaching math is in my blood and I can’t imagine NOT teaching math. This video is a continuation of the video found in Section 2, Lesson 1: Operations on Polynomials Practice Problems. In this video I go through the answers to the Factoring Polynomials Practice Problems found in Section 2. This is a worksheet to practice factoring polynomials with the answers. Being able to factor polynomials well is an important skill in Algebra. Although it is rather lengthy, please do not skip this activity. There is no substitution for practice! This video goes through the answers to #18-20 from the lesson on More on Graphing Quadratic Functions. The problems on this worksheet should be done on graph paper. This is a cumulative exam covering the material in this course. I have provided a blank answer key that the student can fill out while they take the exam. The student will need graph paper to take this exam.